So here is Titus: A young community leader in one of Nairobi’s biggest informal settlements, a ‘retired designer’ as he jokingly puts it, with an IT background, big dreams and little resources. How, in that situation, do you build the professional skills and network to take your work to the next level and create bigger impact? Read on to learn more about how this remarkable young man faced his challenges and the advice he has for people in similar situations. And frankly – his advice is good for anyone who wants to build a career of meaning and impact. Titus’ mission to help young people achieve their greatest potential emerged from a deep desire for the next generation in his community not to have to face the same challenges as he had to. Growing up in the conditions of an informal settlement that didn’t hold many opportunities for young people, Titus dedicated a lot of his free time to community service to try and change his – and his peers’ situation. However – you can do only so much. You got to survive and in the end you can perhaps impact 20 to 50 other people a year. About 3 years ago he felt that wasn’t enough anymore. 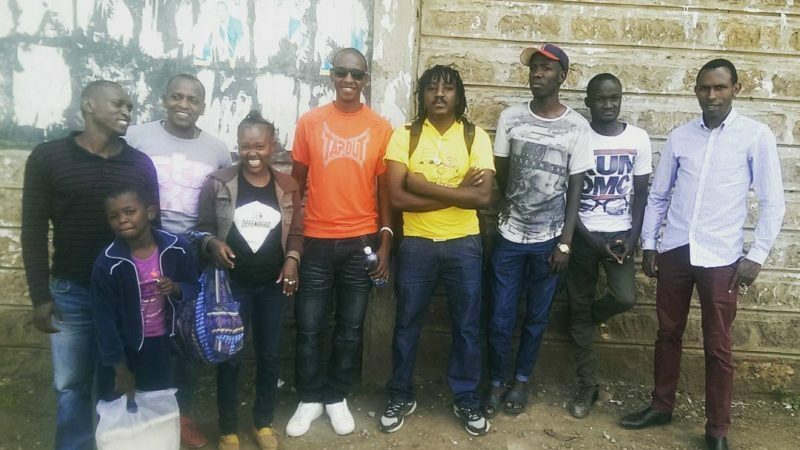 Through a youth-group in Mathare he was offered a scholarship to join Nairobits – a tech school training young people in IT and design skills. Starting out with 60 people, Titus was one of the 20 students who finished the course. Having now skills to earn money as a web developer and designer was only one side of the story – he had also started expanding his network significantly, talking to people who were connected to the social impact scene in Nairobi – a circle that from his perspective wasn’t easy to penetrate. Circles have that characteristic – if you don’t have a project you are doing or something you can talk about it isn’t easy to just come ‘and hang out with innovators’. As a city Nairobi has a lot to offer – conferences, events, social enterprises galore but if you are not connected or looking in the right places, it is not readily available. Titus had to learn to use the internet to his advantage, become aware of the many events going on, attending them to meet people and learn from them, even if they may come from completely different backgrounds. – Other than the obvious interpersonal intricacies of building professional relationships with people, the actual challenge here is simple and brutal: sometimes it takes 2 hours to get to a social innovation event on the other side of town and you may not even have the bus fare. However, and Titus made that very clear, sometimes it doesn’t even take you going to an event on the other side of town. Meeting people with more exposure directly in a community is possible – it’s a short-cut and you just need to know where to look and make most of the resources available. Lots of grassroots organizations invite speakers to come to the communities and this is now where you can start out building the network. Openness, empathy and curiosity are crucial – and not being too proud to find out how you can help, ask for advice and connections so you can start building your network from the inside out. The first time he learned about Amani Institute was through another community leader in Mathare, Wilson Masaka, who taught him at Nairobits and invited him to the FailFaire at iHub. Here it was that he connected with like-minded people who were, like him, looking to understand how to increase their impact in their communities. The challenge of meeting people who at times can have an attitude of ‘I’ve been in this for a long time’ and won’t spend time with you is real – but sometimes it takes only one person to really help you. This one person who is ready to listen to you, to see you and who you can ask to mentor you. Wilson, himself studying at Amani Institute at the time, encouraged Titus to push further. Titus realized that despite all your big dreams and years of work it is crucial to remain humble enough to approach another person and be vulnerable with them. Telling someone openly about your challenges, that you admire their work and that you would like them to mentor you requires courage. – Researching them beforehand, understanding what their philosophies and values are and how they align with yours is important to do beforehand and perhaps something that a lot of people forget to do. Inspired by Masaka’s example Titus finally went on to apply to our program in Social Innovation Management – something that he hadn’t dreamed possible just a few years ago. 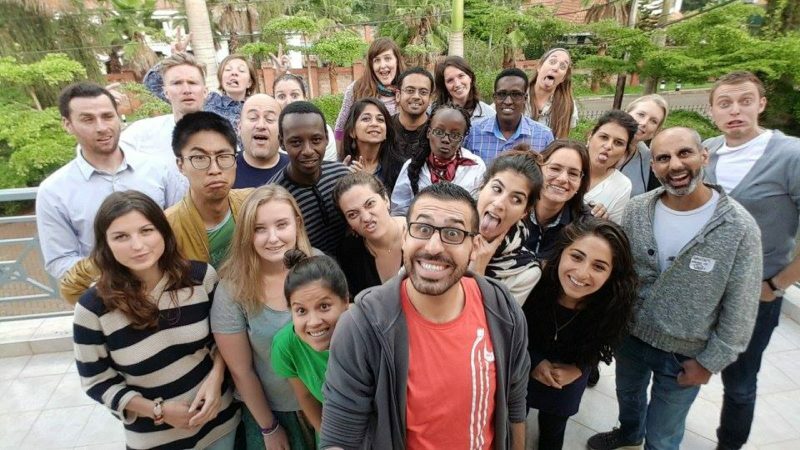 Learning with changemakers from 15 different countries and expanding your capacity to lead change – an experience that changed his work with Paamoja Initiative and beyond. Titus is also a facilitator at JUMP! Foundation and a field representative for CME Trust. Looking back, Titus recognizes that perhaps the single most important thing that can make a difference for someone looking for opportunities is to be an active person in the community, taking on responsibility and investing in making the community better. One of the most inspiring aspects of his approach is his intention to not only help young people have a better life but also to become people who don’t turn their back when ‘they have made it’ but return to their communities to help improve it. You can find Paamoja Initiative on social media and mainstream media. – They are constantly looking for partners and sponsors, collaborators, so they can reach more people and create more impact. People with ideas that they can test in the community are also more than welcome! 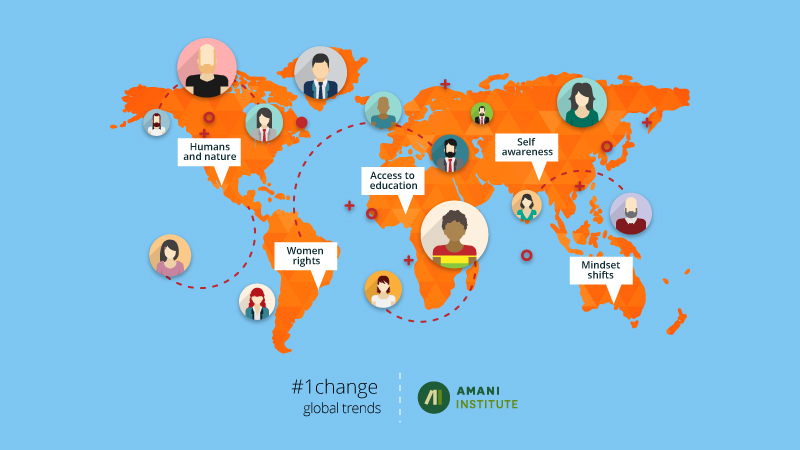 Do you know of inspiring community leaders who have overcome challenges to create the change they want to see happen in their lifetime? We want to hear from them! 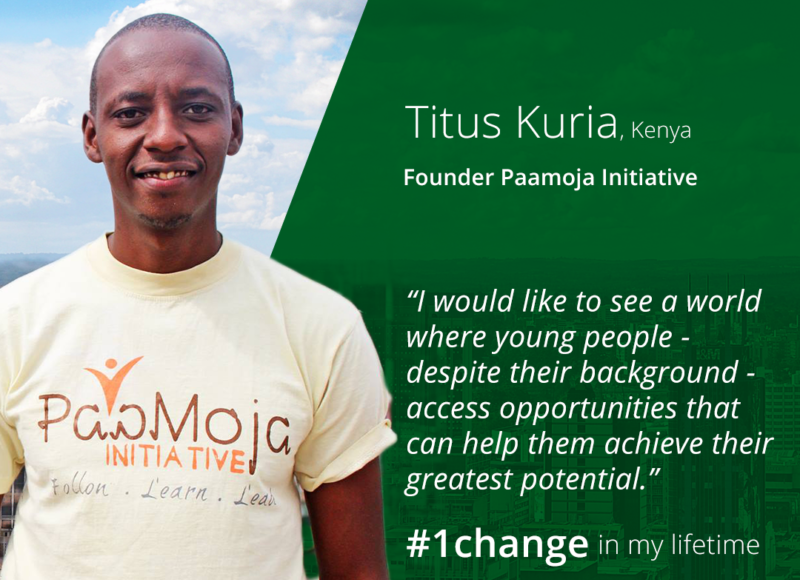 If you also want to create #1change in the world that revolves around community development, please reach out to us and we are happy to connect you to Titus or to other people in our network working in that field.